Join us for live music in Milwaukee tonight! We have happy hour specials and live music happening six days a week. 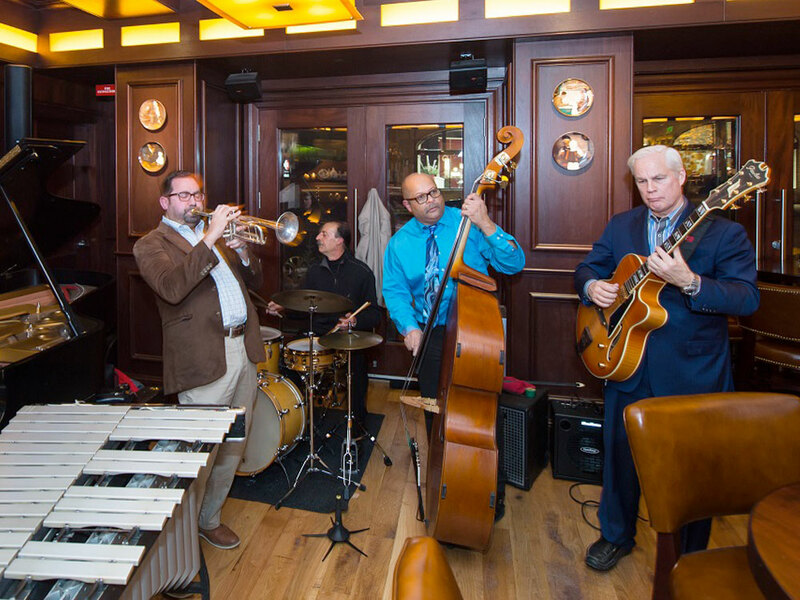 We have some of the Milwaukee area's finest musicians performing at our restaurant - so come on down, grab a cocktail, loosen your tie and let the music captivate you. Features some of the Milwaukee areas finest musicians, trumpeter Eric Jacobson, pianist Mark Davis, bassist Jeff Hamann and drummer David Bayles. Their music explores the full range of jazz in their straight-ahead styles, playing with passion, intensity and joy.The enthusiasm of the musicians along with their creative ideas are impossible to resist. A perfect atmosphere to sit back and enjoy the adventurous music and modern straight ahead jazz.